Annually since the early 1980’s, the S.C. Department of Natural Resources (DNR) conducts a Summer Turkey Surveyto estimate reproduction and recruitment of turkeys in South Carolina. The survey involves agency wildlife biologists, technicians and conservation officers, as well as many volunteers from other natural resource agencies and the general public. 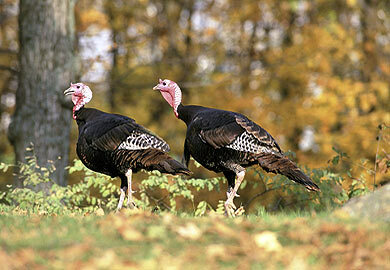 Unfortunately wild turkey recruitment decreased substantially in 2013 likely due to record rains statewide this summer. Although wild turkeys nest primarily in April and May in South Carolina, the survey does not take place until late summer, according to Charles Ruth, DNR Deer and Wild Turkey Program coordinator. Therefore, the survey statistics document poults (young turkeys) that actually survived and entered the population going into the fall. 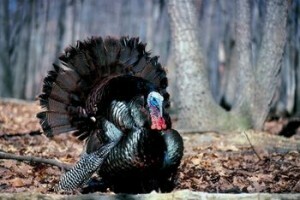 What does poor reproduction in 2013 mean for the spring turkey hunter? Ruth indicated, “Spring harvest trends have followed the trends in reproduction in recent years with harvest figures being better in 2012 and 2013 due to better reproduction. However, with reproduction way down this summer the outlook for the 2014 spring season is not terribly encouraging. One positive note, said Ruth, is the gobbler to hen ratio remained good with a statewide average of 0.70, about average for the last few years. Many experts believe that when gobbler to hen ratios get below 0.5, the quality of hunting can be impacted because hens are extremely available which affects gobbling and responsiveness to calling by hunters. “The bottom line,” Ruth said, “the state’s turkey population remains about 15 percent below record levels of 10 years ago. Although the harvest has increased a little the last couple of years, we need better reproduction for several years to get the population back up. That is the nice thing about turkeys; given the right conditions they can naturally bounce back in a short period of time. “Anyone interested in participating in the annual Summer Turkey Survey is encouraged to sign-up”, said Ruth. The survey period is July 1-August 29 annually and those who participate typically spend some reasonable amount of time outdoors during that time period. Cooperators obviously must be able to identify wild turkeys and must be comfortable in telling the difference between hens, poults, and gobblers. Cooperators are provided with survey forms prior to the survey and a reporting notice and postage paid envelop at the end of the survey period. If you would like to participate in the survey, send your name and address to Summer Turkey Survey, P.O. Box 167, Columbia, SC 29202. You will be added to the cooperator list and receive materials at the end of June annually.